In the rock business, there is a fine line between “rock ’em” and “hokum”. The 70’s classic rock band Styx always rode that thin line tightly, alternating between melodic, symphonic “prog-ish” flavored tracks alongside more hard rocking southern-rock infused works. Never striding out as close to the edge as Yes, Genesis, or other English bands, they were more in line with American counterparts Kansas, Boston, Journey and Foreigner. Singer keyboardist Dennis DeYoung tended towards the softer and sometimes more progressive side, penning hits such as “Babe”, “Lady” and “Come Sail Away” while singer guitarist Tommy Shaw composed the harder edged tracks typified by “Renegade” and “Blue Collar Man”. Additional guitar player composer James Young fit comfortably in the middle. In general, the enthusiasm and sincerity of this band sold their theatrical presentation to those skeptical of their hard rocking credentials, many of whom had been drawn in by the band’s 1977 masterwork, “The Grand Illusion“. I saw the band at their peak in 1978, on the tour supporting “Pieces of Eight“. They put on an incredible show, with the three main composers sharing center stage, balancing their varied styles and themes. But by the time of their concept album “Kilroy Was Here” in 1983, the “hokum” arguably outweighed the “rock ’em” and songs such as “Mr. Robato” were widely parodied. 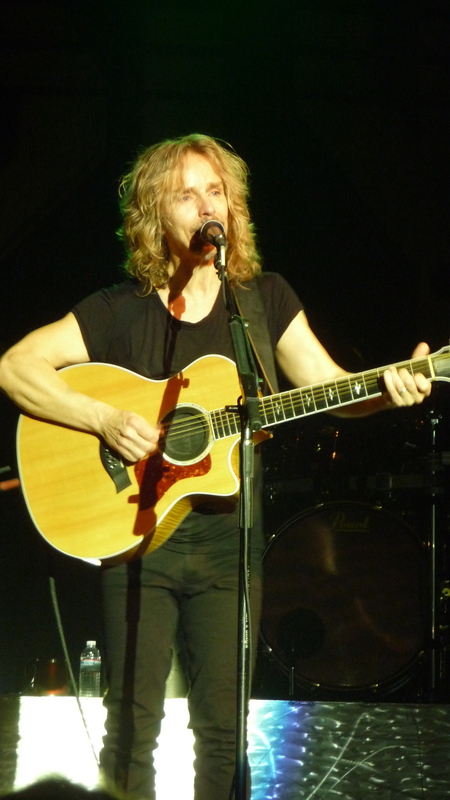 After that release and subsequent tour, Tommy Shaw left the band. There have been several reformations and versions of Styx since that time, led by Dennis or Tommy but seldom reuniting both. I did not see the band perform again until this month at the Regency Ballroom in San Francisco some, ahem, 30+ years since the first time. 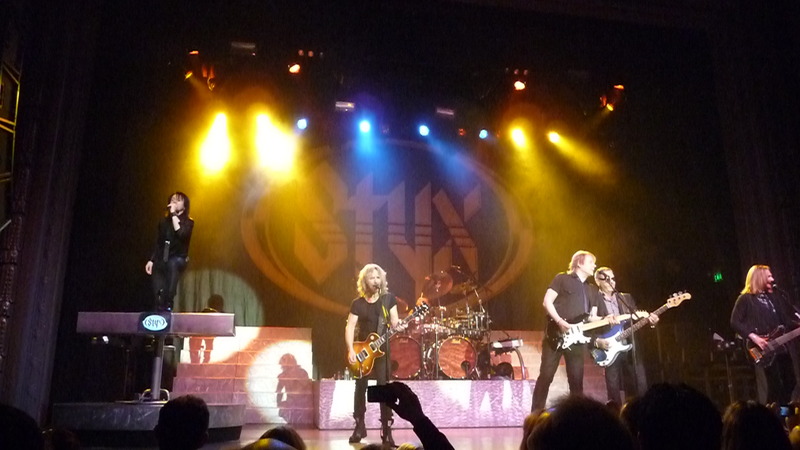 Styx have been back at it led by Tommy Shaw for the last ten years, and performing at a level that in many ways tops their younger incarnation. Without Dennis, this version of the band is free to focus on their harder rocking side, focusing on Tommy’s aforementioned hits, and well as going deeper into the back catalog to play authentic guitar driven gems from their mid-70’s releases. They are exuberant, enthusiastic, tight, and all in the great physical shape it takes to deliver such a show. A bit of that unrestrained theatricality is still there, particularly in the pianist who covers Dennis DeYoung tracks while spinning his keyboard and striking poses worthy of the best rock-disciples. But with virtuoso level playing, accurate four part harmony’s, and overall delivery, this band is delivering shows absolutely worth checking out. See them as headliners, rather than packaged for the sheds, and see for yourself!